Prep In Your Step: Columbia, SC Meetup! Happy Sunday y’all! I hope you are all having a good weekend! I have exciting news for anyone who lives in or near Columbia, South Carolina. 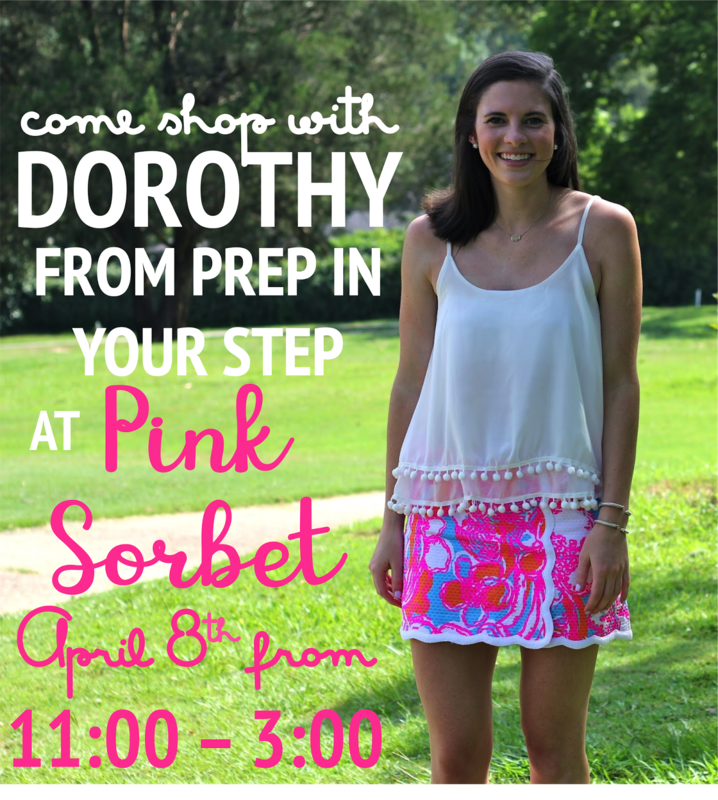 Next Saturday, April 8th, I will be at Pink Sorbet, the Lilly Pulitzer Signature Store in Columbia, for a styling event! I am so excited to be venturing to Columbia with the opportunity to meet any of you who may be available to come and hope that you’ll be able to come and join me to browse or look for Easter, Graduation, or Spring Wedding dresses. I’ll be at the store from 11:00 - 3:00 and would be more than happy to help you browse! Lilly has been releasing some of the cutest new styles so I hope you’ll be able to come shop them with me in person ! I’d love to know if you’ll be able to join and if you think you may be able to then be sure to leave your email address below so that I can send all the details your way. Aww, wish I could go! Have fun!